Vassals rarely question. If they do, criticism is limited and usually restrained behind closed doors. The Australian Prime Minister’s visit to Washington during February was marked by the usual and expected kowtows, blessings and awkward acceptances. The visit was also marked by what an Australian media outlet claimed was “Australia’s most significant delegation ever to visit the United States to build trade connections with US governors.” Keeping Malcolm Turnbull company were four state premiers wishing to wade into the spectacle. The visit left nobody in any doubt about what would happen should the US find itself in yet another conflict. Australia, with unquestioning, conditioned automatism, would rush to the side of its imperial sponsor. Mateship, in the Australian sense, is a rubbery term, one of such elasticity it loses form when confronted. Do mates turn over the furniture of another’s house, cajole and hector? Is acceptable servitude a function of mateship? The failure of “mateship” to make its incorrigibly vague way into the preamble of Australia’s dry Constitutional document was a moment to celebrate. Such offerings do come at a price. Turnbull was thanked by the same figure who has, at various stages, threatened North Korea with annihilation. 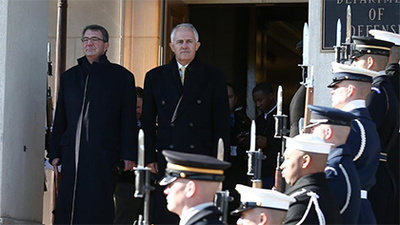 The deployment of Australian forces as pro-US dots of global engagement, including Afghanistan and forces marshalled against ISIS, was duly mentioned. Trump was also grateful for the prime minister’s “strong voice for peace and stability across the entire Indo-Pacific region,” a less than subtle hint that the vassal was doing its appropriate policing for Mother Empire. Having learned nothing from such voodoo economics as “trickle down”, figures such as Turnbull and Trump have decided that corporations are heart and soul of a nation, while the rest can stand aside. The economic show room is only big for so many, and citizens do not count. Despite an initially awkward start to the relationship, it is clear that Turnbull has found the customary niche all Australian prime ministers eventually do with the United States, firmly wedged in the machinery and bosom of empire, with its follies, miscalculations and limitations.